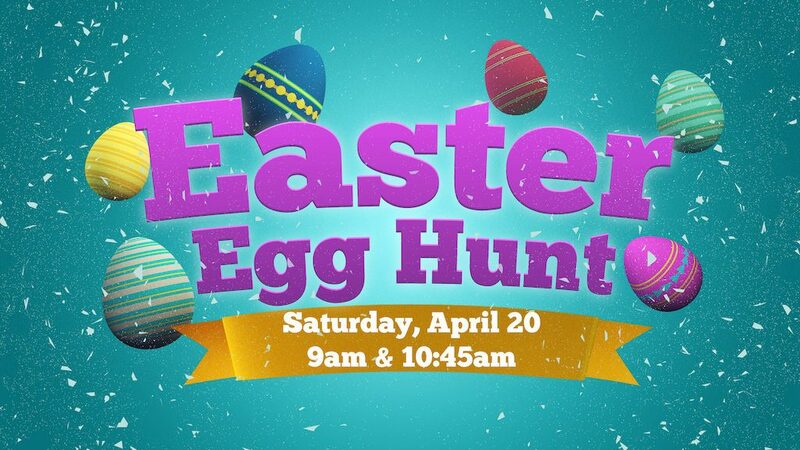 Join us for the Good Shepherd Easter Egg Hunt on Saturday, April 20, 2019 at Good Shepherd Lutheran Church and Children’s Center in Old Bridge, NJ. We will have two separate sessions this year at 9 am and 10:45 am. Each session will last approximately one hour. Please sign up for either one of the sessions. This will be a fun event for the whole family. 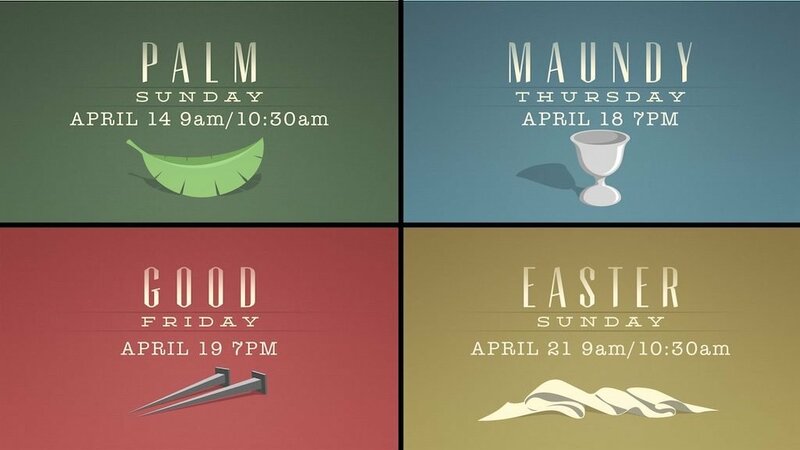 And there will be more than just the Easter Egg Hunt. We also have a craft, story time, and music, and more! Volunteers are needed to help with set up, clean up, filling the eggs and helping with crafts and games. If you are interested in helping, please email Barbara Ressler. 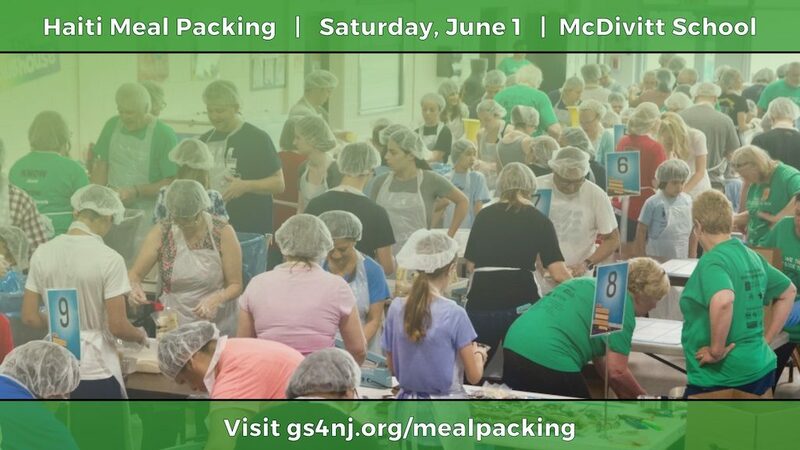 Numana Meal Packing Event: Good Shepherd is once again partnering with Numana and McDivitt Elementary School to help prepare meals for children in Haiti on Saturday, June 1. Mark your calendars now! In 2017 we packaged 83,160 meals. In 2018 we packaged 90,452 meals. This year we hope to do the same or more. The next planning team meeting will be held on Thursday, April 25th at 7 pm. ShopRite Bagging: Help us raise funds for our Haiti Meal Packing Event by serving on April 20 at ShopRite. We will be bagging groceries for shoppers at the store. In return, we are able to take donations for the event and to share about our work. Voluteers can sign up to work three hour shifts. Please contact Martha if you can volunteer. 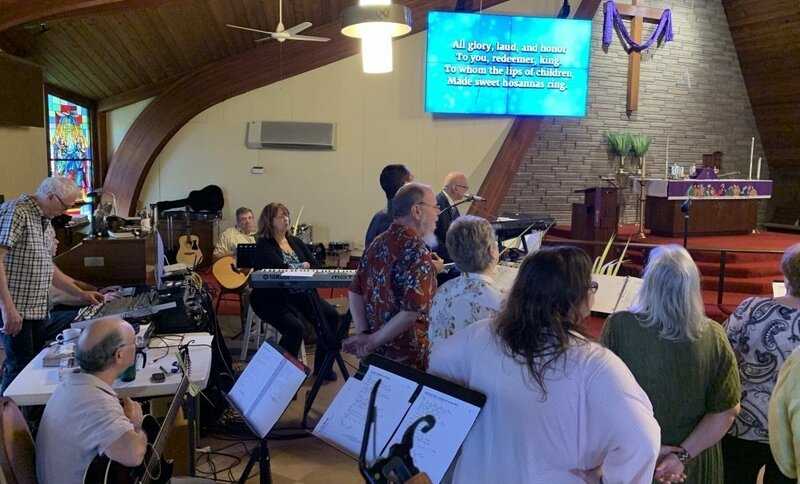 Good Shepherd’s Praise Team preparing to lead worship on Palm Sunday. Join our Easter Choir. Rehearsal is Wednesday, April 17 at 7pm. All are welcome to participate. 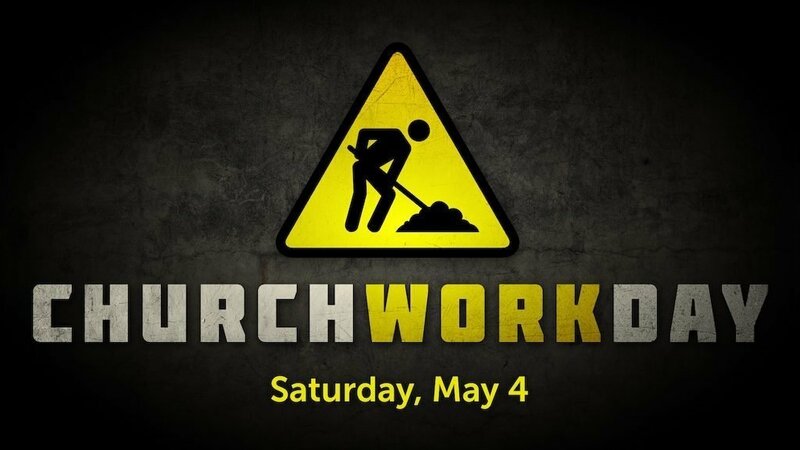 Spring Clean Up Day: Our next work day is schedules for Saturday, May 4th with a rain date of May 11th. All are welcome to come and help. There are many jobs to get done. Some big some small. Easy and hard. Will train as you go. Please email Mike Lanzafama if you can help out. Garden Helpers / Mowers: Yes, it is that time again. We are in need of people to help keep the church and school grounds looking beautiful. We need people to mow the lawns, and help with weeding etc. We will train you on the mowers if you need help with that. If you can help, please contact Maureen Puricelli. Mission Classic Golf Outing: On May 16, 2019, the NJ District of the Lutheran Church-Missouri Synod will be sponsoring its annual Mission Classic Golf Outing. Each year a speciﬁc charity is designated as the beneﬁciary of the funds raised by this event. This year’s charity is our Kairos Network, which trains pastors to be church planters in various locations throughout the state. Part of the day’s events includes a tricky tray auction. We are asking for donations for our tricky tray in the form of gift cards, gift baskets, or gift certiﬁcates for grocery stores, restaurants, Starbucks, movie theaters, specialty shops, etc. If you would be interested in playing, contact Pastor Phil at phil@gs4nj.org. $2000 was donated to the church by the people who purchased gift cards. It is so easy everyone can help. 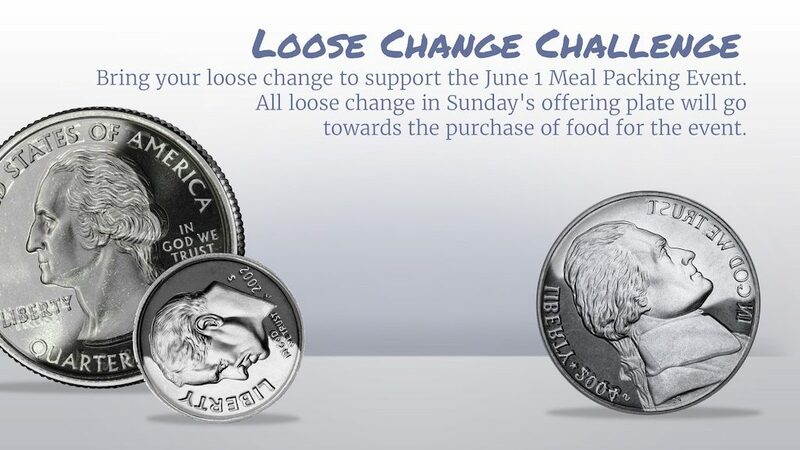 You get dollar for dollar on each card, and the church/school make money on EVERY card that is sold. Be sure to stop at the kitchen counter and see what is available, or order from the 1000’s available on the website. You can visit the website, shopwithscrip.com to purchase gift cards to hundreds of shops and restaurants. Support the ministry of your choosing. 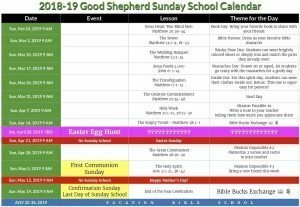 Good Shepherd’s code is F67D7L9421914.